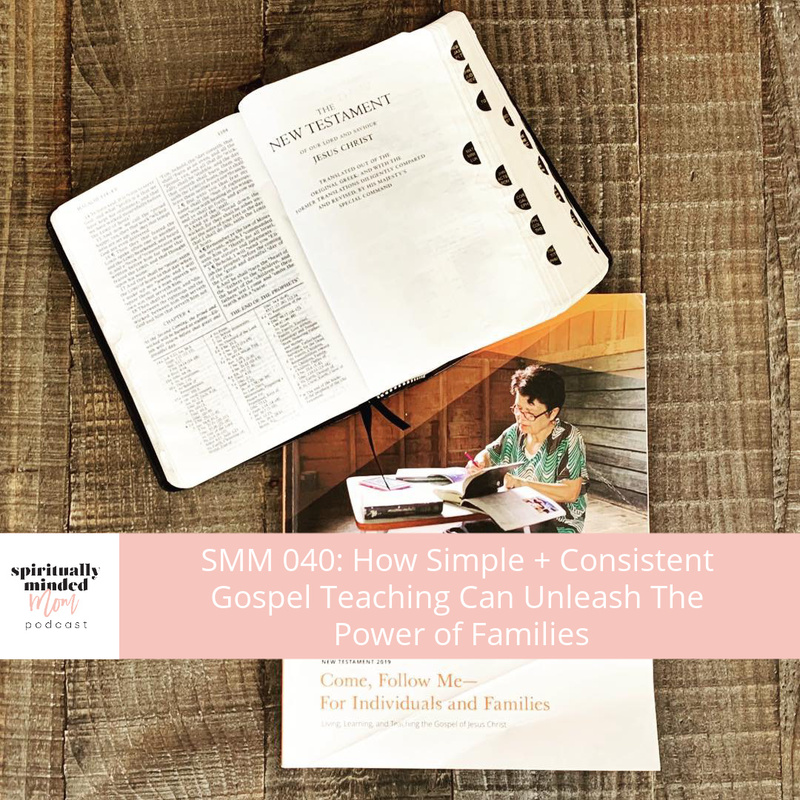 Episode 40 is an episode where listeners called in to share their insights about how they are using the Come Follow Me curriculum in their homes. The women who called in all share different approaches to using the new curriculum. Ultimately, they all emphasize how simple and consistent gospel teaching is blessing their families. I love how each person’s response was a little different but all had the same overarching theme of the blessings of teaching their families the gospel. They all are following the promptings they have received and are doing what works for their family. I hope hearing what others are doing and how they are implementing Come Follow Me will not cause you to compare. Hopefully, this episode will inspire you to listen to the Holy Ghost and then do what you feel prompted to do for your family. …in our efforts to live, learn, and teach the gospel, we should first and foremost seek the companionship of the Spirit. This goal should govern our choices and guide our thoughts and actions. We should seek after whatever invites the influence of the Spirit and reject whatever drives that influence away–for we know that if we can be worthy of the presence of the Holy Ghost, we can also be worthy to live in the presence of Heavenly Father and His son, Jesus Christ. Conversion is our goal and the way to do that is to use the Holy Ghost as a guide. If you feel an impression to present a lesson or teach something a certain way, do it. Even if it’s not what someone else is doing. The gospel of Jesus Christ is simple. One person who commented on my post on Instagram about Come Follow Me pointed out the phrase in the hymn Come Follow Me: “Come follow me, a simple phrase.” I love that. Keep it simple and let the Spirit guide you. Sister Bednar and I thought helping our sons understand the content of a particular lesson or a specific scripture was the ultimate outcome. But such a result does not occur each time we study or pray or learn together. The consistency of our intent and work was perhaps the greatest lesson—a lesson we did not fully appreciate at the time. Keep it simple with coloring, walks, etc. The new home-centered, Church-supported integrated curriculum has the potential to unleash the power of families, as each family follows through conscientiously and carefully to transform their home into a sanctuary of faith. I promise that as you diligently work to remodel your home into a center of gospel learning, over time your Sabbath days will truly be a delight. Your children will be excited to learn and to live the Savior’s teachings, and the influence of the adversary in your life and in your home will decrease. Changes in your family will be dramatic and sustaining. Listen to the podcast below or on iTunes, Spotify, Google Play, Stitcher or Sound Cloud If you like the show, please subscribe and leave a review. Elder Dieter F. Utchtdorf’s talk It Works Wonderfully! SMM 031: How Have YOU Seen + Felt God as Your Partner in Motherhood? If you’re a mom who has ever felt depleted, hopeless or let down by motherhood, you’re in the right place. 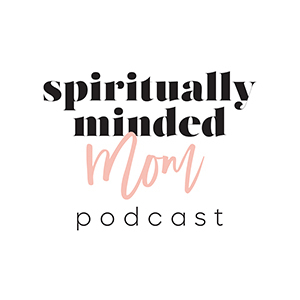 From your mother-in-law to your Facebook feed, everyone’s got an opinion on parenting, but on the Spiritually Minded Mom Podcast, you won’t find a lot of advice or tips on how to do motherhood the right way. Instead, you’ll get encouragement and hope. You’ll know you aren’t alone. You'll hear interviews with other mothers who have gone through what you are going through and you'll walk away knowing if they can do it, so can you. Most of all you’ll learn you have a partner in motherhood, a loving Heavenly Father who wants you to succeed and is always there to help you in your most important work as a mother.